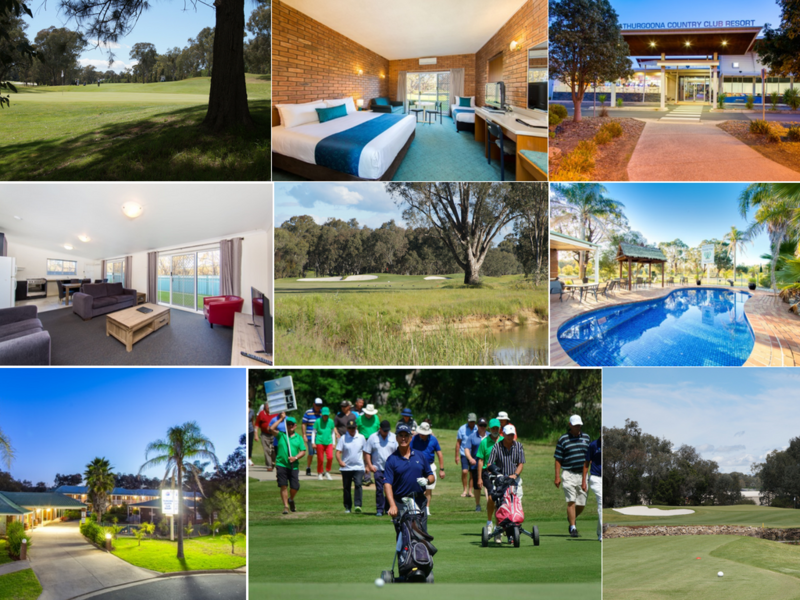 The Thurgoona Country Club offers fantastic value for your next golf getaway. Our golf course is designed to present an enjoyable challenge to players of all abilities, all set in a beautiful picturesque environment. Designed by Peter Thomson and Mike Wolveridge, the course is a par 72 for the men and 74 for the ladies. Our Santa Ana couch fairways and bent grass greens are in good condition year-round. 26 well-appointed resort suites and a newly renovated 3-bedroom apartment border the 18th fairway and are just a short stroll to our recently renovated clubhouse boasting full Club facilities. Our "Play & Stay" golf package offers incredible value. •Use of all motel facilities - 16 Tennis courts, pool, spa, sauna and gym. 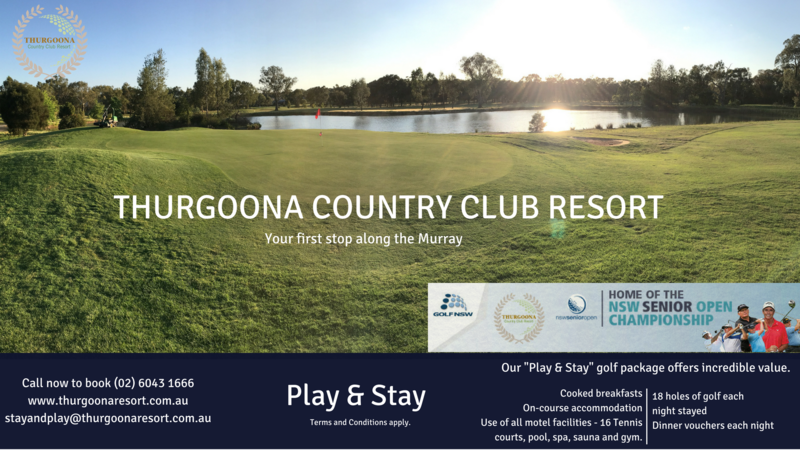 To enjoy this wonderful golf package please email your request to stayandplay@thurgoonaresort.com.au. Or phone 02 6043 1666. Stay and Play packages can not be booked more than 12 months in advance, deposits are required to secure bookings. Thurgoona Country Club Resort is the home of the NSW Senior Open, which has seen a legendary line up with some of the greatest golfers from the past 40 years, drawing in massive crowds! The feedback from some of these world class players was well received .